> What are shipping modalities ? Benefit from the expertise of our teams and from our know-how in fine-art printing: we provide a free diagnosis of your photos and professional advices. Our service also include photo resizing and portrait creation by a professional graphic designer, printing on "fine art" polycotton canvas by green latex ink, or on brillant paper photo 200g. 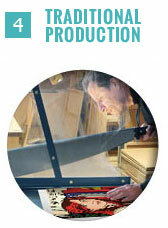 Canvas are stretched by hand with tension keys and secure with high-strength packaging. 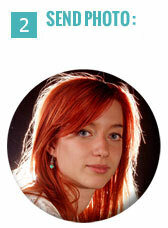 "Votreportrait.fr" is a french start-up specialised in personalised portrait. We create Pop Art portrait, manga style illustration, personalised superhero comics portrait or original photo mosaic from all your favorite pictures. 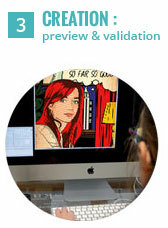 The personalised portraits are made by a professional graphic-designer, with high quality printing, and fast shipment. All our creation are made by hand.